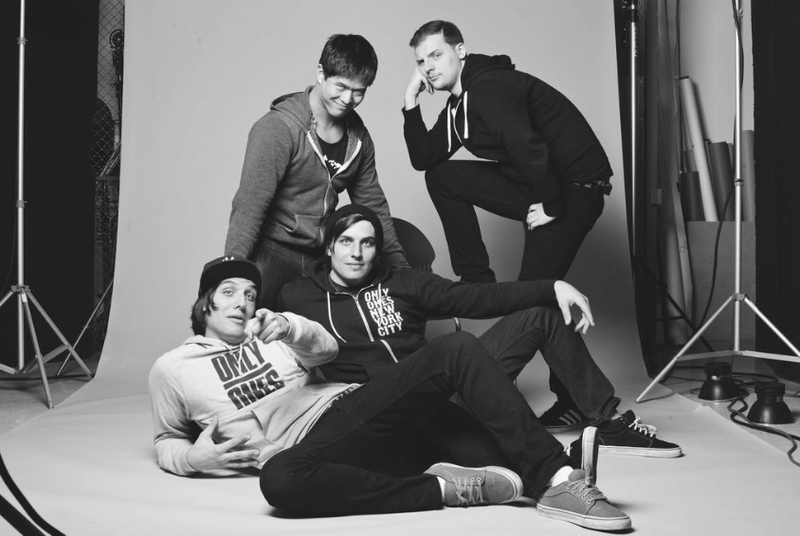 Queens, NY is home to Gone By Friday, a pop-punk band that formed in the summer of 2009. Influenced by Bouncing Souls, Lagwagon, and Blink-182, Gone By Friday’s music is very much in-your-face punk that is both energetic and infectious. Since they first began nearly six years ago, the band has consistently been delivering an honest and original version of punk that is hard to ignore. From releasing a free EP (cleverly named FreEP) and a set of demos, the band was then able to hone in on their song-writing skills with the release of their 2011 full-length album, Noisetank. Noisetank was crafted in Killingsworth Studios in Farmingdale, NY with help from Michael Gaudiello and Anthony Santonocito, two men who ensured the final product would be a step in the right direction. The record is raw, honest, and full of instrumental prowess that, when combined with Billy Kupillas’ infectious vocals, is perfect. 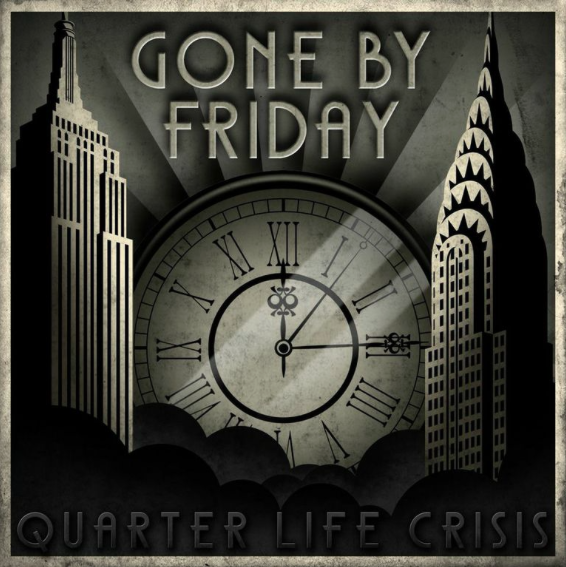 Currently, the band is gearing up to release their latest album, Quarter-Life Crisis, on March 31st. Comprised of seven tracks, Quarter-Life Crisis is Gone By Friday’s most hard-hitting, raw, and emphatic work to date. The punk sound is warped with infectious melodic overtones that no doubt pays homage to the early 90’s pop-punk scene. Each track is well-crafted and stands apart from the next, a quality that is largely hard to come by in the pop-punk genre. In particular, a few tracks that stand out to me the most would probably have to be “It All Starts With Me”, “600 Miles”, and “Say My Name”. I like “It All Starts With Me” because even though it’s about a minute long, it is still packed full of meaning and catchy melodies. “600 Miles” was actually already released as one of the singles off of Quarter-Life Crisis and I can definitely see why. It has great guitar riffs, an emotionally contagious melody, and relatable lyrics. “Say My Name” is also a unique song because the guitar riffs at the beginning have an almost Spanish/salsa-like feel to it. I could be completely lying right now, but that’s what it sounds like to me — you’ll just have to go and listen to the album once it comes out and get back to me. Trust me, you’ll want to mark your calendars for March 31st and listen to Quarter-Life Crisis because it’s probably the furthest thing you can get from boring. In the meantime, you can pre-order the album or check out some of the band’s other work here! This entry was posted in Uncategorized and tagged band, bands, blink-182, bouncing souls, gone by friday, lagwagon, new york, NY, NYC, pop, pop punk, punk, quarter-life crisis, queens. Bookmark the permalink.